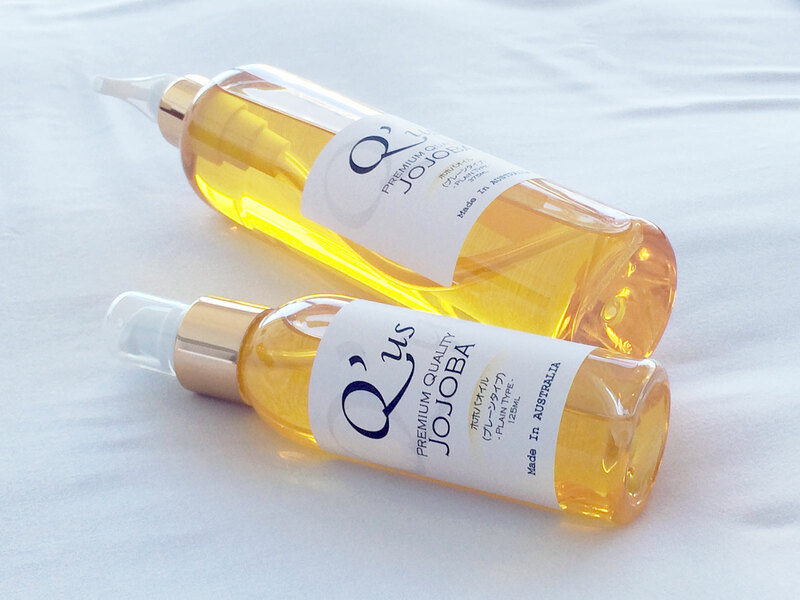 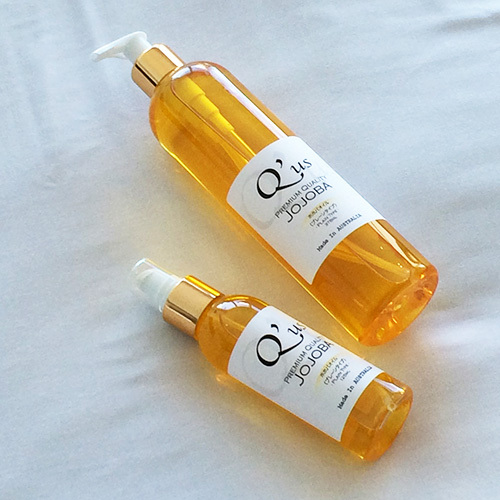 Q’us Australian Jojoba Oil – Plain type is the base for all of our jojoba oils. 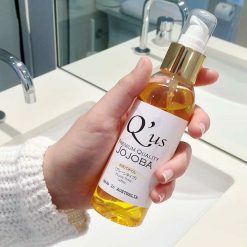 Grown in Australia and cold pressed, this beautiful oil is filtered through a 1-micron filter and is one of the purest of its kind. 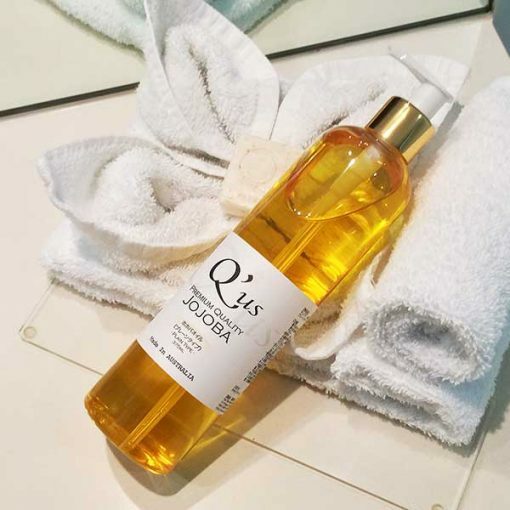 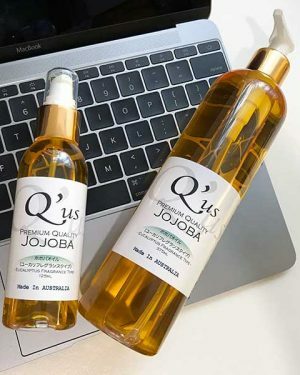 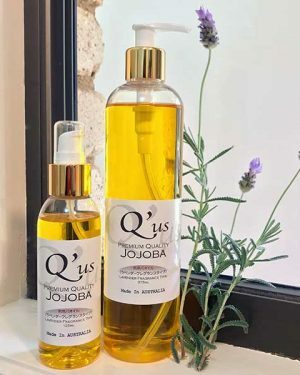 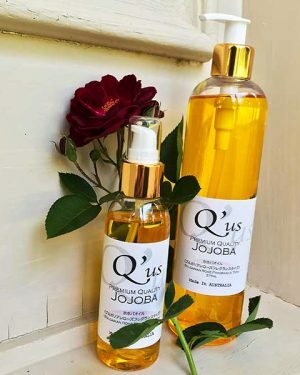 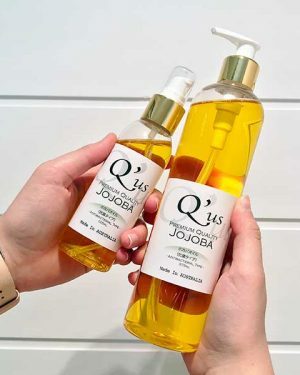 Unlike colourless and less pure jojoba oils, the pureness of Q’us Jojoba Oil can be identified by its golden colour and mild floral fragrance.